This page will let you know whenever any new web pages appear on Learn-With-Math-Games.com. Multiplication Math Tricks Are Fun And Easy To Learn. Do math fast with multiplication math tricks. You'll also learn neat magic tricks that involve multiplication that are quite amazing. Continue reading "Multiplication Math Tricks Are Fun And Easy To Learn." If kids can have fun learning math, they will learn to enjoy it. Why not give every child the joy of math, with fun and exciting addition activities they are sure to love. 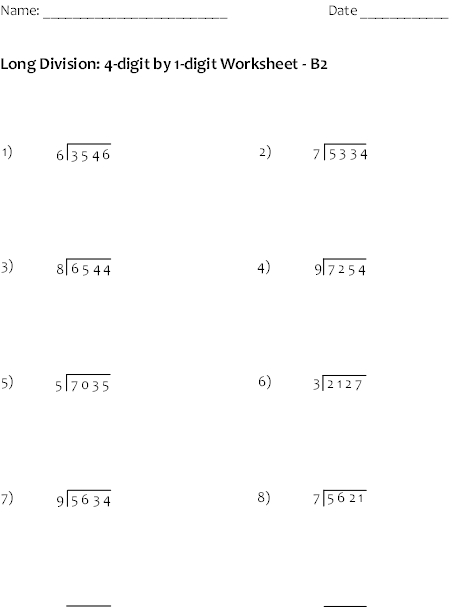 Continue reading "Addition Activities,Addition Games, Addition Math Games"
Continue reading "314 and Out"
Get the Lattice Multiplication Template you need for your students to practice multiplication using this cool method! 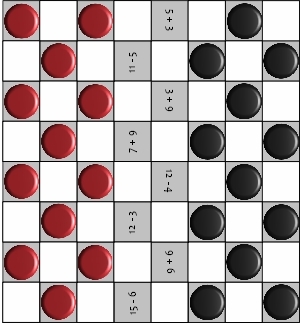 Continue reading "Lattice Multiplication Template Free PDF To Practice Lattice Method "
Fraction Games Help Kids Conquer Their Fear of Fractions While Having Fun. Learning fractions is often challenging for most kids, but fraction games will make learning fractions fun and easy. Continue reading "Fraction Games Help Kids Conquer Their Fear of Fractions While Having Fun." The right Math fraction game makes a huge difference for children! Since math is the most feared subject in school, fun activities help build math confidence! Continue reading "Math Fraction Game - Take the Pain and Mystery Out of Fractions "
To be successful in math, kids need to have a good understanding of fractions. Fraction strips help students see fractions and get a feel for how they actually work. Continue reading "Fraction Strips Great Hands-On Tool To Help Fractions Make Sense "
Learning to count can and should be fun for children. 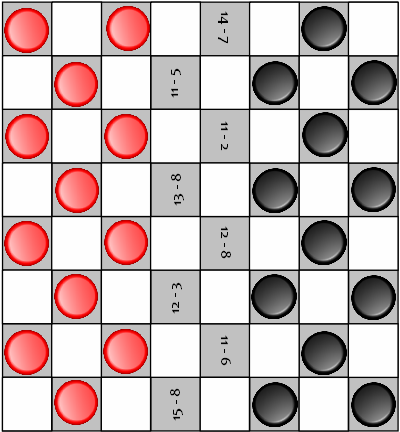 Check out our collection of counting games. 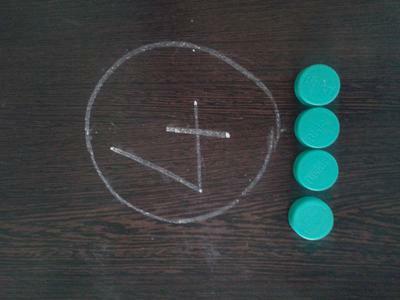 Here's a game children have fun counting by twos, fives and tens. Continue reading "Counting By Twos,Counting Worksheets,Preschool Counting Games"
Do you want to get your preschooler math smart? Introducing them to math through preschool math activities is one of the best ways to get them ready! Continue reading "Preschool Math Activities To Help Your Child Get A Head Start With Math"
Preschool Math Games get toddlers to enjoy math early on. Give your preschoolers a head start on learning and enjoying numbers with preschool math games. Continue reading "Preschool Math Games get toddlers to enjoy math early on. " Kindergarten Math Games For The Classroom Or At Home. Continue reading "Kindergarten Math Games For The Classroom Or At Home." Check out math camp nashville 2013. It's a great way for kids to build math skills and get excited about math at the same time! Continue reading "Math Camp Nashville - "Math In Motion Camps" Make Math Fun And Meaningful"
Math Addition Puzzles For Building Math And Logic Skills The Fun Way. If you want to teach get your kids to enjoy learning math try these fun math addition puzzles.will not be boring with these math puzzles and games. Continue reading "Math Addition Puzzles For Building Math And Logic Skills The Fun Way." Multiplying And Dividing Fractions With Rectangles. Fractions can be tough for kids. Try teaching multiplying and dividing fractions by modeling with rectangles. 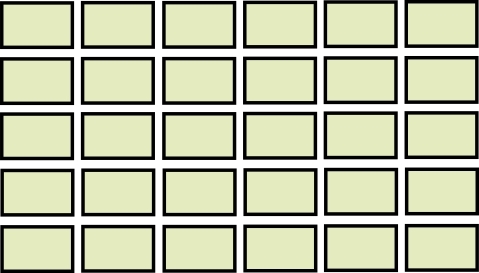 Continue reading "Multiplying And Dividing Fractions With Rectangles." Try these online multiplication games to get kids excited about multiplying! 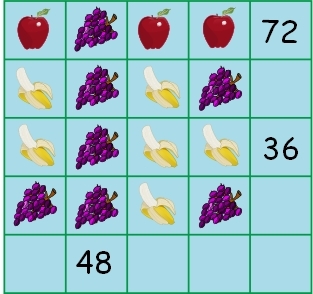 Continue reading "Online Multiplication Games Make Learning Math Fun"
Magic square puzzles great for getting students excited and engaged with learning math. 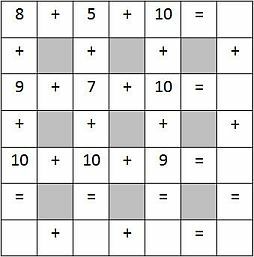 Continue reading "Magic Square Puzzles That Build Math Skills"
Motivate your students to learn math with engaging math puzzle worksheets! Continue reading "Math Puzzle Worksheets For Engaging Your Math Students"
Do you need a fun activity to teach about triangular numbers! Continue reading "Triangular Numbers Classroom Activity for Kids"
Fraction Games For Kids Make Learning Exciting! Most kids don't do well with fractions! But these fraction games for kids will give students a fresh new way of looking at and understanding fractions! 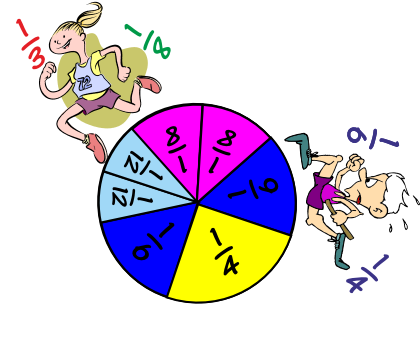 Continue reading "Fraction Games For Kids Make Learning Exciting!" 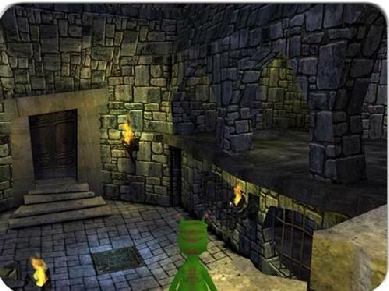 What do learning math have and video games have in common? Quite a bit, if one of the math computer games you're playing is Timez attack! Continue reading "Math Computer Games Your Kids Are Gonna Love!" Is long division holding your students back? These fun long division worksheets help them master their dividing skills! Continue reading "Long Division Worksheets For Helping Students Become Division Masters"
If your students haven't used Napier's Bones for multiplication their missing out on the fun! Continue reading "Napier's Bones - A Fun And Easy Way For Students To Multiply Big Numbers! " ‘Number Family’--finding two numbers that make a given number. 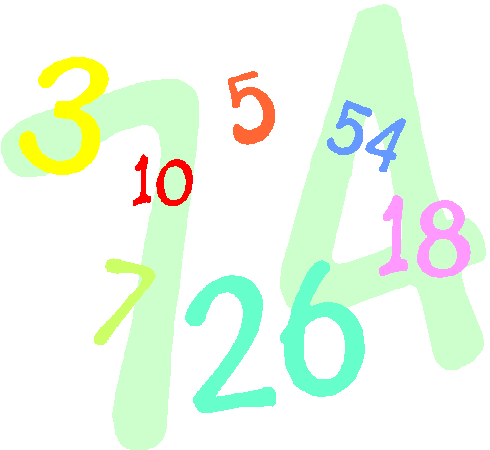 Continue reading "‘Number Family’--finding two numbers that make a given number." Math may not be fun for most students! 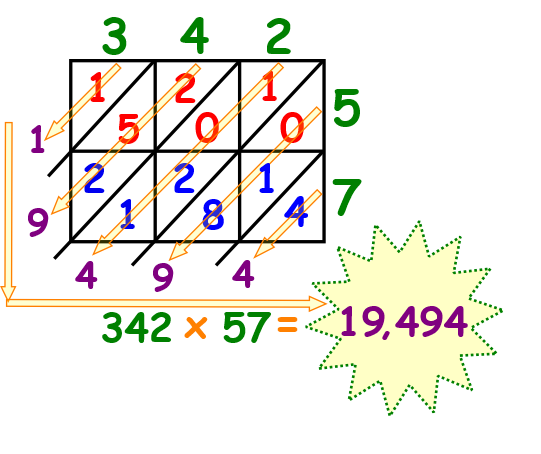 But what if you could make math fun and exciting for kids using a math magic squares game! 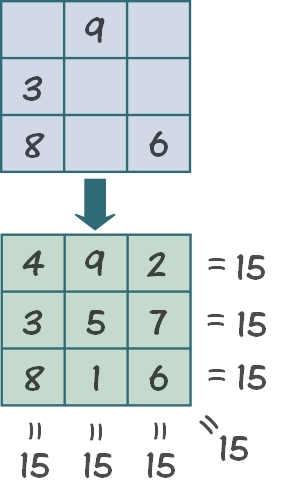 Continue reading "Magic Squares Game For Students For Teaching Math Concepts"
Fraction Puzzles - The Fun Way To Learn Fractions. Are the fear of fractions holding your students back? Fraction puzzles will turn fear into fun while helping students learn. Continue reading "Fraction Puzzles - The Fun Way To Learn Fractions." Fractions can be frightening. This equivalent fraction printable game turns fear of fractions into fun. Continue reading "Equivalent Fraction Printable Game"
Addition And Subtraction Games Kids Will Love And Learn! Want to spice up your math teaching! Addition and subtraction games get kids excited about learning while buildins critical math skills. Continue reading "Addition And Subtraction Games Kids Will Love And Learn!" Printable Subtraction Games Your Kids Will Love! Do you need to get your students more excited with math. Our free printable subtraction games will have them learning while having fun! Continue reading "Printable Subtraction Games Your Kids Will Love!" Free math resources to teach subtracting. Our subtraction flash cards give kids a hands-on way of learning math! Continue reading "Subtraction Flash Cards To Help Make Math Smart Kids "
Are your students still adding with their fingers? Help them become addition fact experts with addition flashcards. Continue reading "Addition Flashcards Are A Great Tool For Building Kids Math Skills"
Learning how to multiply well can either make or break a child's confidence in math. 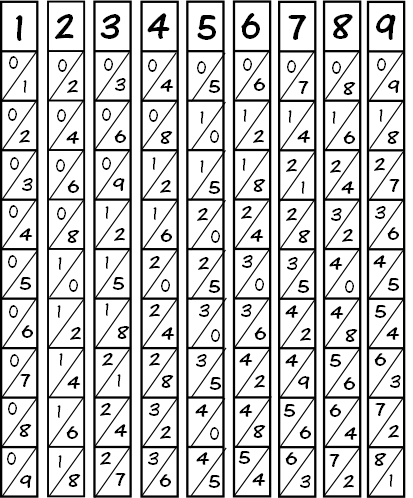 Teach kids how to memorize multiplication with this technique. Continue reading "How To Memorize Multiplication The Easy Way." Many students don't like and even fear math! Here's a multiplication games printable that helps math math fun! Continue reading "Multiplication Games Printable For The Classroom and Home"
If you haven't tried a magic triangle with your students yet, they're missing out on all the fun. 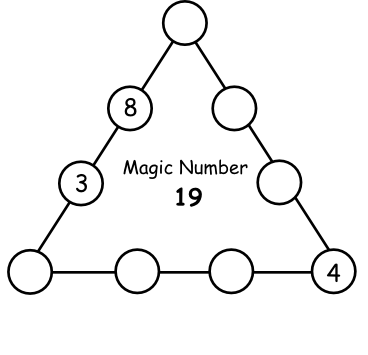 Continue reading "Magic Triangle Math Fun For All Ages." If your kids hate math or find it boring, these printable math brain teasers add fun to learning math! Continue reading "Printable Math Brain Teasers Help Motivate Math Learning In Kids." Math Teasers Are A Fun Way To Build Math and Critical Thinking Skills. Great math teachers know how to make math interesting. And math teasers are a great tool for getting students engaged and teaching valuble math skills. Continue reading "Math Teasers Are A Fun Way To Build Math and Critical Thinking Skills." Teaching math in fun creative ways can help kids get excited. A math facts game is a great tool for class or home. 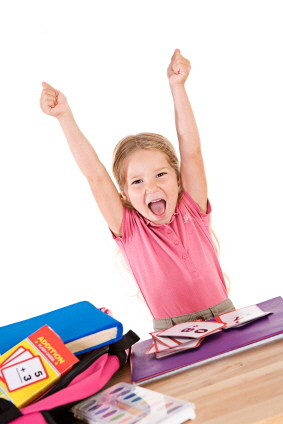 Continue reading "Math Facts Game To Help Get Kids Motivated To Learn"
Subtraction For Kids. Learning To Subtract Is Fun And Easy. Teaching kids how to subtract numbers can sometimes be tough. With fun subtraction for kids activities, they will be learning and having fun too! Continue reading "Subtraction For Kids. Learning To Subtract Is Fun And Easy. " Fun fraction number line activity to help students build number sense with fractions. Continue reading "Fraction Number Line For Undertstanding Fractions "
For more great math teaching resources, check out this printable fraction to decimal chart. 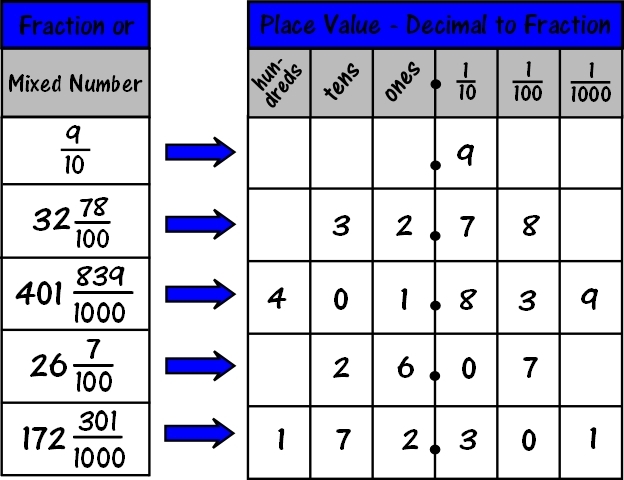 Continue reading "Easy Fraction To Decimal Chart for Teaching about Decimals"
Come and see how fun math can be! Dice math games will help your kids build math skills and they'll love you for it. Continue reading "Dice math games for teaching math in a fun way!" If you need a sure way to get the kids interested in learning to multiply, how about a multiplication facts game. Continue reading "Make Learning To Multiply Exciting With Fun Multiplication Facts Game." Learning to add can be lots of fun if you have the right teaching tools. Your students will love learning math with these fun printable addition worksheets. Continue reading "Fun Printable Addition Worksheets That Kids Love"
4th Grade Math Games Help Fourth Graders Get Excited About Math! Most kids in elementary and middle school hate math! That's why you and your fourth grader will love learning with 4th grade math games. Continue reading "4th Grade Math Games Help Fourth Graders Get Excited About Math!" 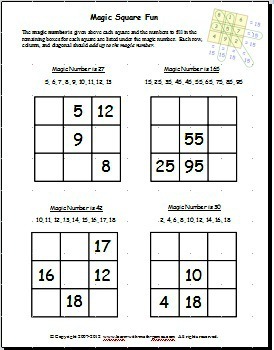 Magic Square Worksheets Are Fun And Help Kids Buld Math Skills. Can you believe that math is this fun? Kids will be fascinated with the magic of math with these magic square worksheets. 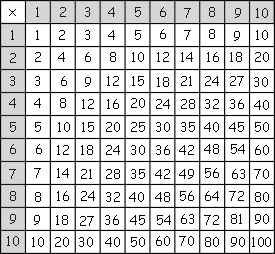 Continue reading "Magic Square Worksheets Are Fun And Help Kids Buld Math Skills." How do you teach kids about factors? Factoring games like Factor Concentration is a fun way for kids to learn about factors of numbers. Continue reading "Factors of Numbers Games Help Kids Learn about Factors the Fun Way." Getting kids to solve puzzles is easy. So how about using math word search puzzles as a fun way for them to learn math. Continue reading "Get Math Word Search Puzzles to Review Math Concepts and Math Terms"